He is very talkative, magnificent looking, and exceptionally affectionate. Sebastian has tested positive to FIV. He has no symptoms and is a lovely healthy cat. The implications are that he needs to be re-homed as a completely indoor cat which is safer anyway, and he needs to be re-homed to a home with no other cats or another FIV positive cat. If you would like to offer Sebastian a loving home and would like to know more about owning an FIV+ve cat, please call our President Michelle who can tell you about her experience. She has 2 lovely cats who were diagnosed FIV+ve 2 yrs ago. They have never had any symptoms and remain completely healthy. SPRA’s bookkeeper also had an FIV+ve cat which was diagnosed at approx 10 yrs of age land which lived until 18yrs of age, when it passed away due to unrelated causes. 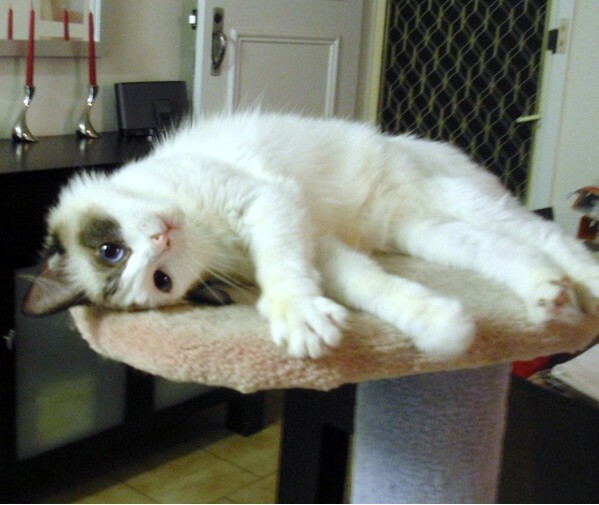 Specialists have advised us that they expect that FIV +ve cats who are well cared for and maintained indoors, can still potentially live long and happy lives, though there tends to be a lack of documented data on these sorts of cases.. To find out more contact Michelle on 0403 254 960. You can find answers to Frequently Asked Questions at these links. 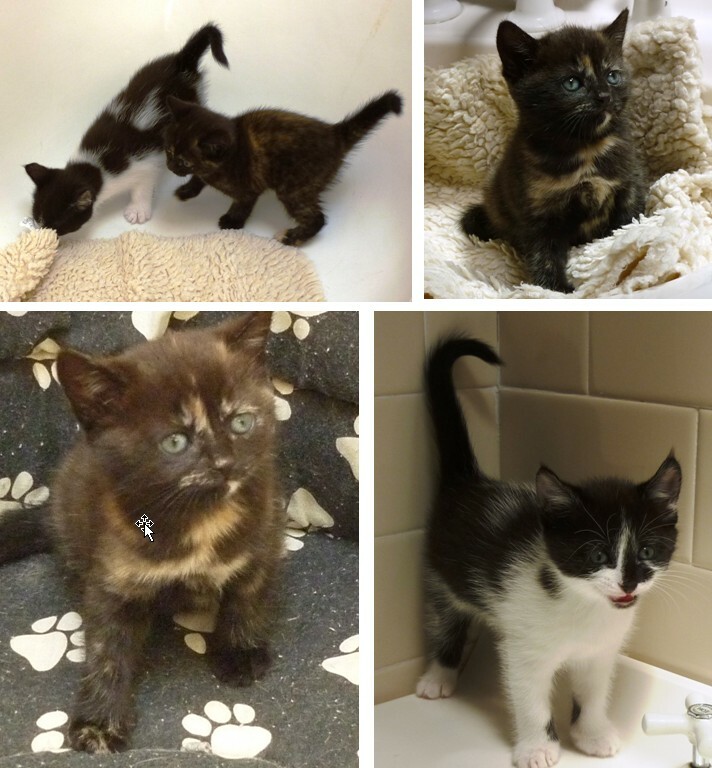 8/12/13 Jemima and Pippa have been adopted by Melissa from Hassall Grove. 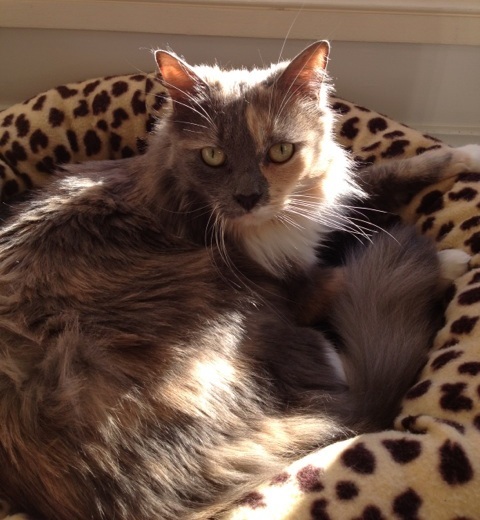 Allie was found to be pregnant and gave birth on 19 September 2013 to 2 kittens. Jemima (dark torti) is sweet and gentle and super cute with a little chunky face. Both kittens are playful and very bonded to each other and to mum. The 2 kittens would love to find a home together as mates or one kitten with mum Allie and the other to a home with another kitten for a playmate. 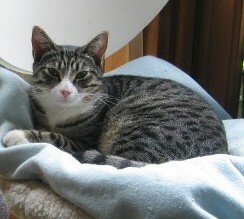 Jonah (male -desexed 4/4/12) is a short-haired silver and black tabby with a beautiful spotted coat and white paws. He is a confident, outgoing and gentle boy who loves playing, adventuring and snuggling. up. He is now a very handsome, tall and lanky teenager. 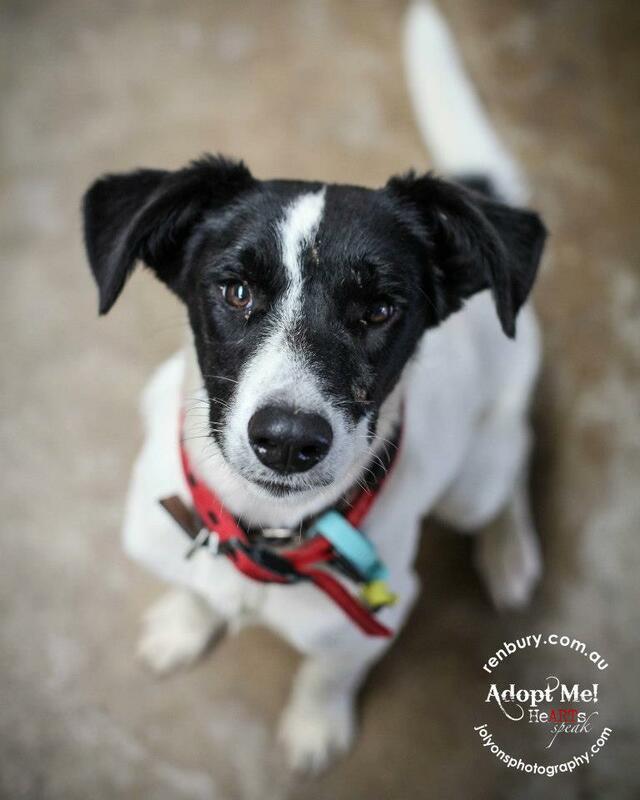 Jonah is a real treasure and loves people – he would be a great new member of your family. These lucky sisters were rescued from drowning at a few weeks old, in a bucket of water where they were left by a heartless person. Dolce (dark torti/white) loves to carry her toys around the house and play soccer with her sister using anything that slides. Dior (Blue torti/white) has a beautiful medium hair silky coat and great plume of a tail which she often chases and sometime catches. Having Dolce and Dior is an absolute pleasure. They were shy initially, then slowly over the last 3 weeks they have come out of their shell. Dolce follows me around the house everywhere and just wants to be around me. Dior on the other hand approaches when she is ready, however when she does she likes to be cuddled for longer periods of time. They both like to be picked up and held and have never scratched me once; they have such sweet and gentle souls. These are purrfect cats for affectionate people who have a soft spot for animals. The amount of affection that they give is just adorable. I have a basket of toys that travel around the house with them, this is an easy way for me to know how they have occupied their day. They are now used to my camera and gladly pose without a problem. They also are incredibly neat, do not make a mess and don't leave any surprises for me apart from in their litter; very well behaved ladies. They love sleeping on my bed and occasionally sneak under the covers. I know that they will touch the hearts of whomever has the pleasure of meeting them. They will be best suited to a quiet household without young children. 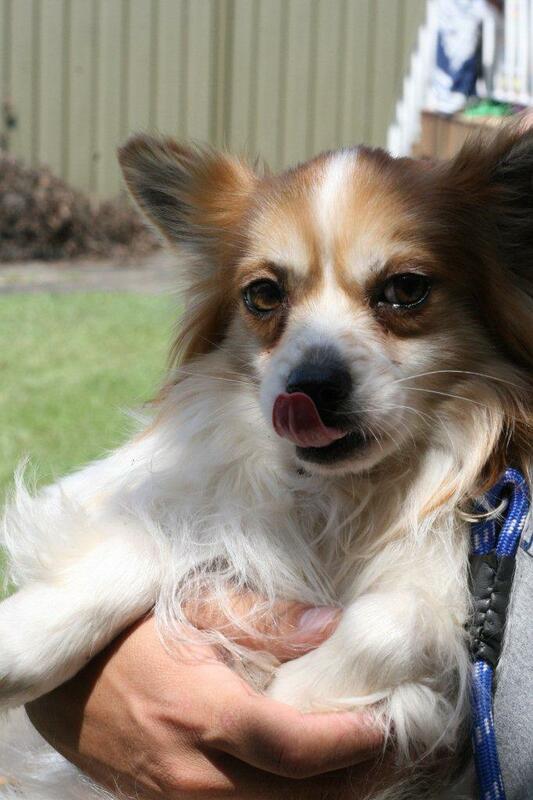 Ed is the sweetest little man, very gentle, very playful & very affectionate. He wants to be with you all the time. He loves it when I sweep & mop the floors, chasing the broom or mop and thinks this game is just for him, it takes me twice as long to clean my floors , but I cant resist playing with him, he is a true delight, he would suit any family. He is just a great little kitten. 31/08/13 Max has been adopted by Sandra from Roseville Chase. Max (black tabby), Update 29/3/12 He is VERY affectionate and playful now, and loves his food.Max has some medium -short dark grey patches at the back of ears, chest and the tail with striped markings. 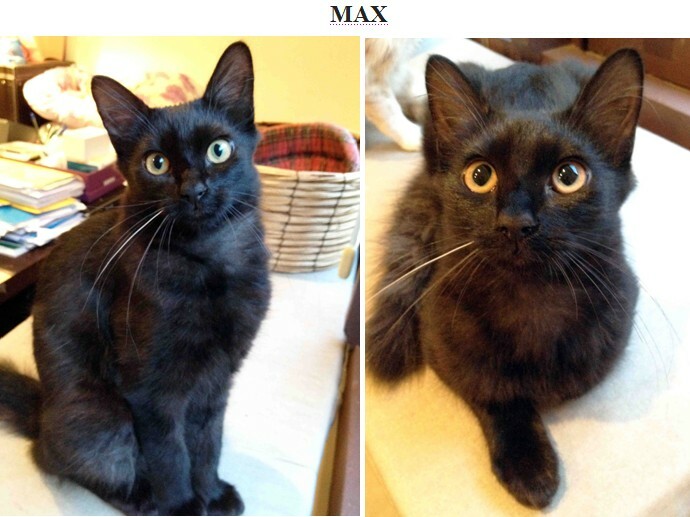 Update 2/6/13 Max is a very handsome black medium/long-haired boy with a silken coat. He has a very sweet and gentle nature. A little reserved at first, he will soon have you wrapped around his paw. He has a very healthy appetite and is always the first one to present himself at meal time. He gets along well with other cats and unlike many male cats, does not tease the female cats in his current household. He is affectionate and loves to cuddle up at any opportunity. He is very agile and loves to explore in and on top of cupboards, given the opportunity. He would be best suited to a household with at least one other cat, and is very gentle with kittens. Milo is so gorgeous - a real handsome little fellow. He is a little trickster and likes to play with his sister Hetty. They both like to be played with and love chasing a ping pong ball across the floor then settling down for a nice nap together. 19/4/13 My darling foster kitten, Milo, has asked for me to let you know what he is looking for in his new owner.... 1. Love cuddles. 2. Love cats. 3. Love getting head butts of the cat variety. 4. Love feeding yummy cat food. 5. Treat him with lots of love and kindness. and 6. Be ready to accept him as part of your family. Honey is a gorgeous almost apricot colour and is developing a gorgeous white patch on her chest. She loves to sit on your lap and is beginning to build her confidence with people, after a poor start in life. She is really happy to see me when I walk into the room and runs up to me purring for some cuddles. 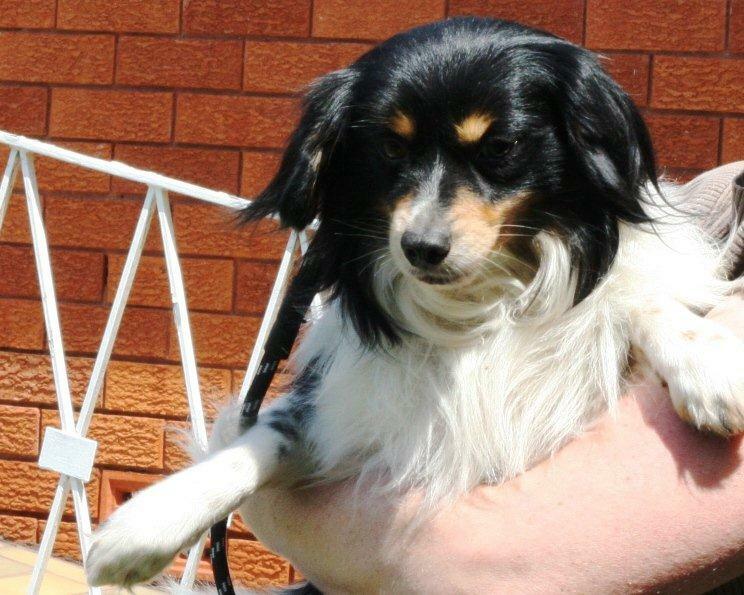 6/3/12 Sophie is a beautiful, gentle natured, friendly girl. She is approximately 1 year old and would really enjoy being with someone who is home a lot to keep her company as she loves being around people and is quite a chatterbox. Sophie has had her litter of kittens who have all gone to new homes and she is now looking for her own forever home. April 2012 tested positive for FIV, but has no symptoms & is completely healthy. Hetty is so affectionate, she would love a lap to curl up on. She runs about with her brothers but is a gentle little thing. She has the most striking markings on her sides, and purrs when she sees you. We have rescued this little girl who was surrendered by her owner….you’d wonder how anyone could surrender to a pound knowing that surrenders can and often are euthanased the same day. 31/3/13 Elliemae definitely just wants to be around the people in her life. If we are outside, she is happy to go outside....however she is not happy to stay outside whilst we are inside. She is not overly interested in food at present...(she only weighs about 7kg).... but she could be still settling in. She needs to be in a home where she can be inside all the time - including sleeping. Maybe a house with another little dog would also be beneficial as she seemed to get along with all the other dogs that she was caged with out at Renbury Farm. She is toilet trained and is a very healthy looking dog. She is gorgeous and just wants to be with you. She probably just needs reassurance that you are not going to disappear from her life as her previous owners did. She is in care with Danelle whilst she waits for her special home. Oh what a lovely kitten! He is so focused on humans rather than his kitten friends and when you walk into the room he runs to you purring. He is always the first to get some fuss and head butts your hand straight away to show you he loves you. He does love having a play and has a thing about sitting on your feet! He seems to have some Bengal markings on his tum and back. RUBY - sweet and gentle girl. 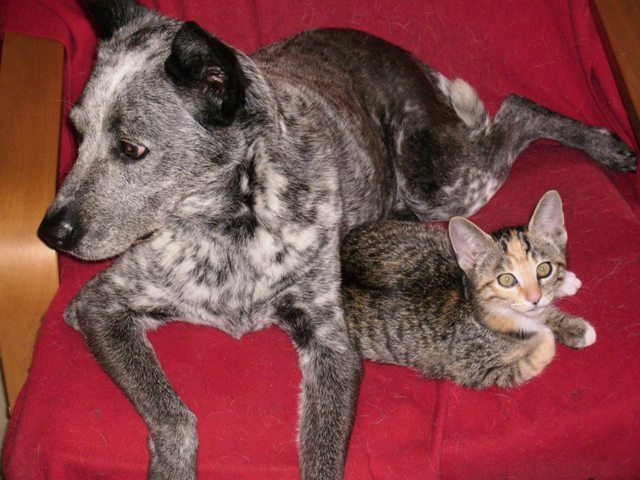 16/10/11 Ruby was rescued with her 4 kittens. Jade-Louise, Paddy, Maxie & Louie, all now adopted. 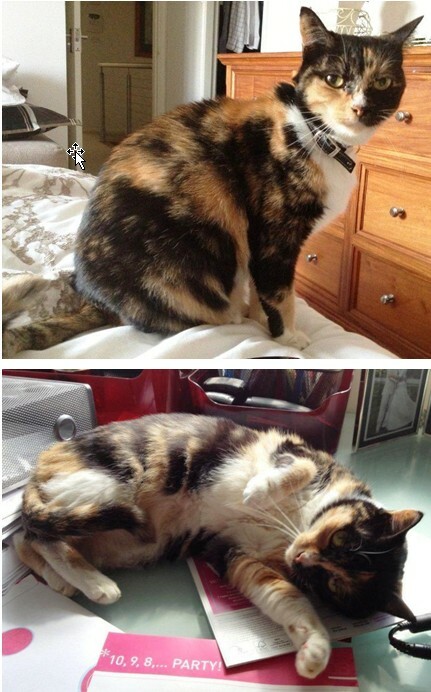 15/4/13 Hannah and Hope have been adopted by their foster carer, Megan, from Erskineville. 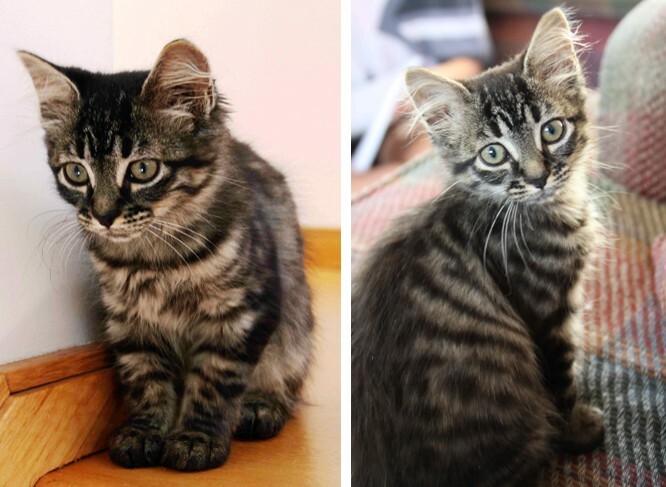 21/11/11 Hannah and Hope, 2 year old sisters (born 3 November 2009) were found on a building site at just 3 weeks old. With their mother nowhere in sight and the kittens perishing quickly in the hot sun they were taken into care. The girls have recently moved from their original foster carers' home and are now living in Erskineville with Megan and Tom. They would like to be rehomed together if possible. Both cats are house trained and scratch their scratching posts rather than the furniture. They would be suited to a quietish home and where they can be kept solely indoors. They have lived a fairly sheltered life so far but are currently being introduced to lots of new things and adapting well. They are a delight to have around the house. Hope - black and white short haired, a beautiful looking girl with the cutest black nose, she enjoys playing with her toys, chasing ping pong balls around the room and having a good scratch on her scratching post. Hope is the more confident of the sisters and usually the first to go exploring, she will stretch out on the floor for a pat and tummy rub after a good playing session. Hannah - black and white medium haired, her facial markings look a bit like batman's mask covering both her eyes. Hannah took a little longer to come out of her shell, however once comfortable she is a complete flirt rolling onto her back begging for tummy rubs, a brush and a bit of a smooch. 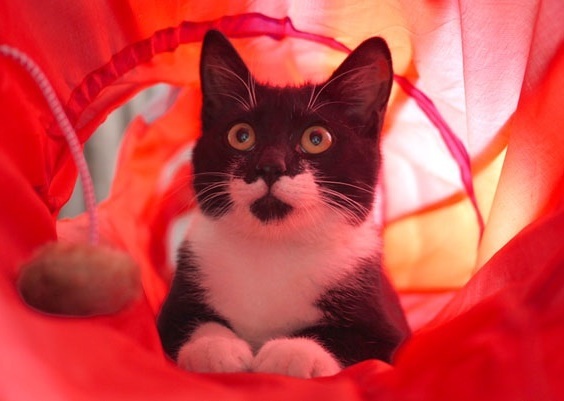 Hannah loves playing in her cat tunnel, snoozing on the couch and playing with toys. JAZPER is a very handsome short haired dark silver tabby with beautiful markings and is a large boy. He has a grey patch in his white chest and he also has a long tail. Sometimes he lies on his back and lets you rub his chin and tummy and will purr loudly, he will let you pick him up gently and cuddle him for a short while, then will jump down when he has had enough. He enjoys playing with a long shoelace or feather toy which he loves.. Sudden movements will startle him & he is rather shy of meeting new people, hiding under the bed till they have gone. He loves to sit at the top of the cat tree and rolls over to be stroked. Jasper loves chasing the other cats so would be happy to be with another cat as a playmate, though he may be fine on his own with a caring owner. He is a very gentle boy and has a cute habit when being stroked on your lap, of stretching and then slowly sliding off your lap onto the floor. He usually sleeps on his own in his special spot in the lounge room. He is very quiet and rarely meows, except when inside a carrier going to the vet. He is not impressed with that.. He has learnt to use a cat flap to access the balcony. He will need a patient owner to spend time winning his trust, he is well worth the effort..He would be best suited to a quiet household with no young boisterous children and kept indoors for security as he would be frightened outside and may run off. 6/2/13 New rescue boy Milo. 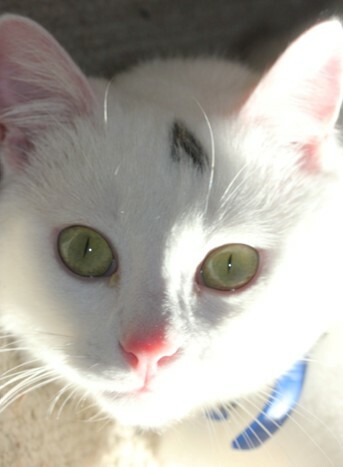 He is white with black on head and ears, approx 12 months of age, gorgeous sweet natured young lad, Rescued from the pound who advised he appeared to be fine with the dogs he was kennelled next to. He is a medium sized mixed breed. He has been tested and is negative for heartworm. 3/ Milo walks pretty good on the lead. A little more training is required but he is actually quite good. 4/ Milo is learning to sit on command and will do this each time before he is fed. Yippee!....Milo got a Valentine Donation! - Valentine Donation of $25 has kindly been made by Daniella on behalf of Matthew, with proceeds going to help buy me some food and treats. 9/2/13 This little kitten is newly rescued. She is only 5-6wks old and not old enough for adoption yet. However enquiries are welcome by submitting a catmatch application form. Alice is super cute and is very bold, nothing fazes her. The moment we got her home she was very confident. even picking on Ed !, she loves cuddles and loves attention. Oreo was found living around a unit block with an injured tail. This adorable little guy was taken to the vet by a kind person and taken into care. He was a little shy at first but now loves pats, is playful and is always purring. He is also litter trained. Oreo is now looking for his loving furever home. LIL is a pretty orange tortoiseshell tabby girl and would love to find her own furever home with a loving family. Lil loves people, dogs and cats. May no longer be a supermodel but still has the superpurr. Loads of personality. Loves cuddles and loves to sleep on your lap. A lady of the cat world. Likes to hold a conversation with you in between her purrs. 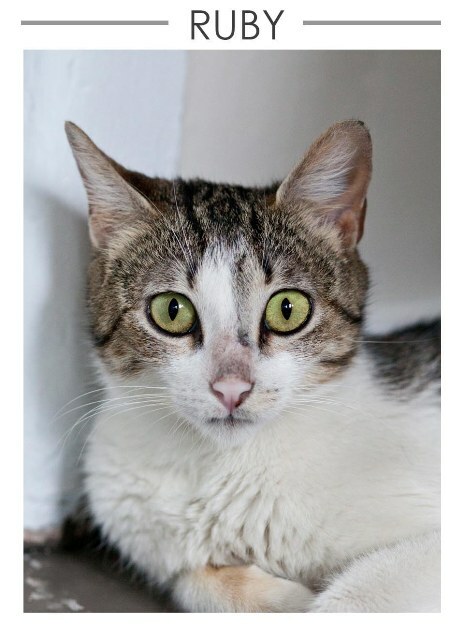 Lil has pink on her ears & nose so she will have to be an indoors cat to avoid getting skin cancer from exposure to strong sunlight..
24/8/11 Update from Jane-Isaac was almost hit by a car in the car park of a local pub, before he was rescued by a kind person. He is a very playful kitten who loves to chase after balls and claw at dangly cat toys. It is most amusing when he has worn himself out from playing with his toys. He then puts himself into my lap and looks up at me with those lovely green eyes.He meows often when you call his name which we find very cute. Isaac has been around a five year old child and played happily with the child and allowed him to pat him also. However he is not comfortable together with dogs. Isaac has settled here very well, he is a gorgeous cat with a lovely temperament. He really is a lovely cat, who is still very playful but also likes cuddles too, he is very talkative and a little mischievous which is a delightful combination. 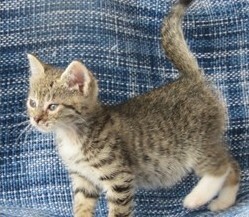 Lizzie is medium hair, dark tabby kitten, very pretty. She is a little shy just now as she is still settling in, but is happy to sit with you and have cuddles. 9.10.12 Hewie and Louie have been in foster care, with the view to adoption over the last 8 wks. They are being adopted by a lovely couple to be mates for their pomeranian. Tanya has visited them and they are very happy. Adoption is due to be finalised. Their previous owner Kaye is so grateful that we were able to take them, when she was unable to care for them, that she is continuing to raise funds until their emergency boarding costs are covered.